Name two SUV’s that you are familiar with. We’ll bet at least one of them is either the Honda CR-V or Hyundai Santa Fe. These popular do-all’s are just two of the dozens of Sport Ute’s available, and gifting one would surly come as a surprise to your loved one. 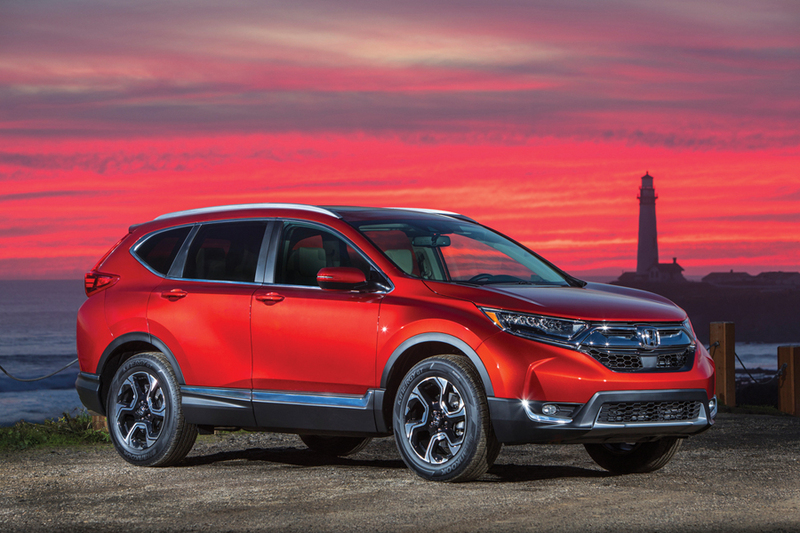 When the first-generation Honda CR-V went on sale in the U.S. in 1997, it was an instant success. Now, 21-years later, it’s all grown up and one of a dozen in its segment competing for your attention. The 2018 model brings an air of sophistication to the class with an aerodynamic front fascia and unique rear tail lights, that give a nod to the first model. Inside, the dash is nicely balanced with a linear, chrome accent through it. Instead of being mounted in the center console, the shifter is attached to the lower part of the dash, at the bottom of the traditional center stack of controls. Seating is pleasingly comfortable and there is adequate legroom in back. Like its competitors, the second-row folds flat, giving way to a generous amount of cargo space. Power comes for a 1.5-liter turbo four, delivering 190 horses to the front wheels through a CV transmission, getting an average 30 MPG. 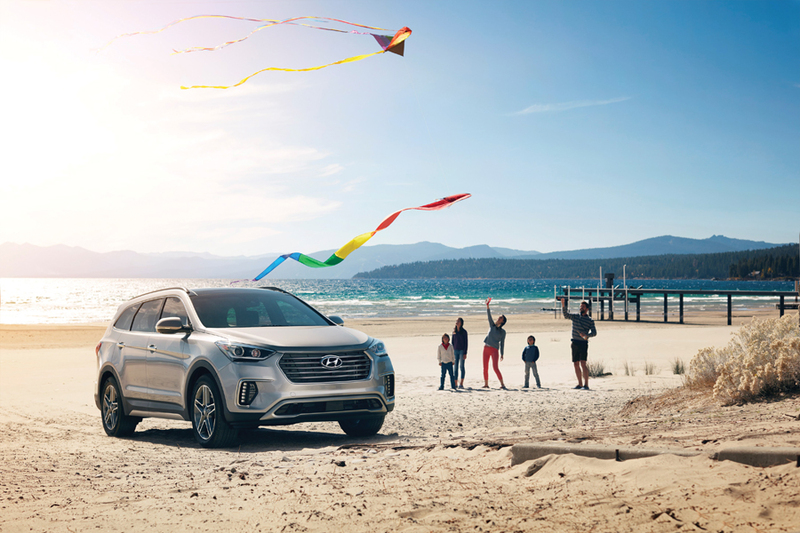 Since 2000, the Hyundai Santa Fe has been a “go-to” SUV, with sales climbing year after year. So popular in fact, Hyundai recently introduce a smaller, “sport” edition to the lineup. The Santa Fe is what we call a full-size SUV, featuring seating for six or seven passengers. With a canvas this big, it’s easy to over-do-it, but Hyundai design engineers did not. In fact, conservative would be the definitive word here. A classic style grille with modern touches help give the Santa Fe an overall appealing look. Like the exterior, the interior is elegantly styled with a “light” feeling to it. Design is spot on and materials, fit and finish are all where they should be for its $31,000 entry fee. We also like the power to weight ratio of the Santa Fe. Under the hood is a 3.3-liter V-6 powerplant that delivers its 290 horses to the front wheels through a six-speed automatic transmission. Whether it be the mid-size CR-V or standard size Santa Fe, either one will fit under the Christmas tree, albeit a big one.